I recently dropped my Nexus 6 to give Samsung’s latest flagship a shot. Not only that, the S6 Edge happens to be my first Galaxy device. Hopefully that fact does not deter Samsung fans, I just have never been a fan of the Galaxy’s dated design. 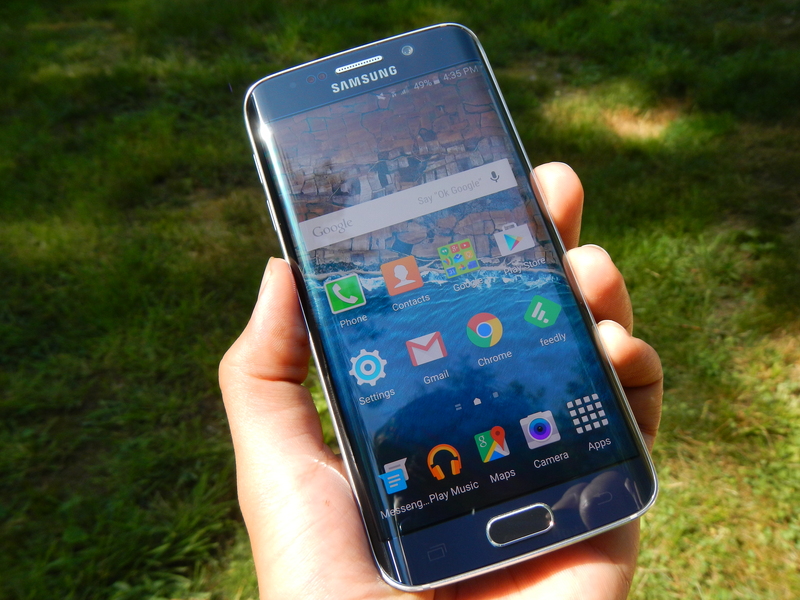 To me, the S6 is the first device Samsung has delivered that’s worth the price they’re charging. I value a hardware effort, and I now had no excuse to not jump in. Well…and those rad edges. Therefore, I thought this would serve as a good opportunity to help out those who are pondering Samsung’s current offering and curious about the refined TouchWiz. Being that I’ve come from the latest stock Android build, I think I have a fresh perspective in touring the infamous UI, such as how it excels or falters in comparison. But before I dive into my experience with switching from the Nexus ginormica to a modest 5.1″ Galaxy S6, I’m compelled to go over Samsung’s hardware undertaking. 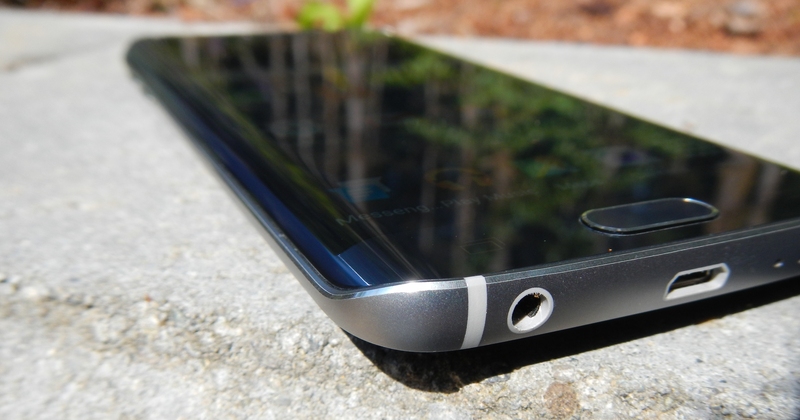 When I observed the press details and first impressions of the S6 back in March, I wasn’t sure how to feel. Everyone anticipated a major design overhaul, but we weren’t sure to what extent. Samsung ended up keeping the design layout familiar, but changing the entire build. Thus, my impression had to wait until I could get my hands on it. But once I did, oh boy. The metal frame has this soft elegance to it. The glass back merges with the frame with a subtle 2.5D curvature, like the two materials are meant to be together. I have the Sapphire color, which sometimes looks black, sometimes looks navy blue. The base color works in unison with the glass to respond to bright light as gemstones do, shining mesmerizing bands of amplified color. I applaud Samsung for nailing the build at their first premium go around and for producing something exciting. On the Edge model, the reflection of the glass stretches at the curvature. To me, it’s so visual appealing. You’re just not used to seeing this kind of thing. 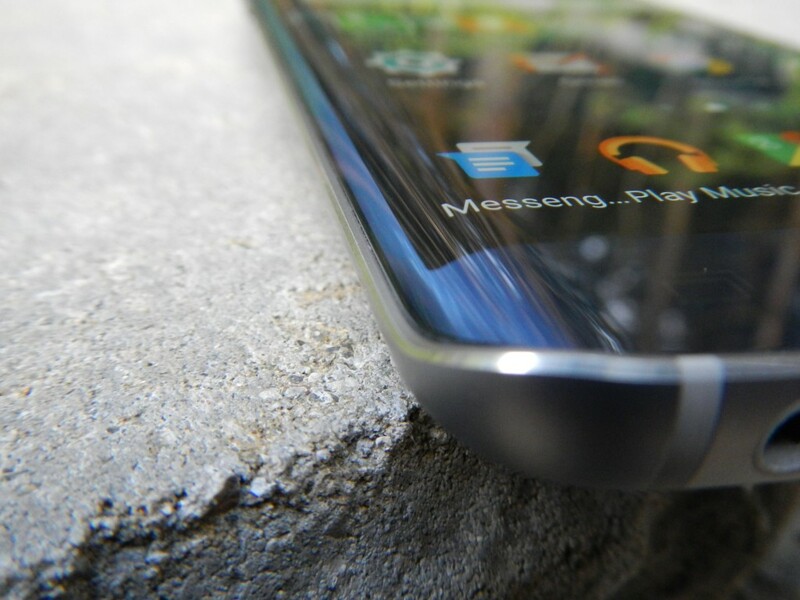 Viewing the curved material from different angles begs me to call the appearance of the device futuristic. The metal frame looks like a tub as the glass flows into it. There’s never been a design like this, and although subtle, it’s darn cool. Not even accounting for attention-grabbing edges, the S6 filled the eye-candy void that my Nexus 6 left to be desired. The buttons around the device are a mixed bag for me. While I appreciate that the power and volume buttons are on separate sides, the volume buttons are too high on the device. Not only are they an awkward reach to get to, the above-average force it takes to push them in often makes me need to resist the phone rotating out of my hand. In contrast, the sensitivity of the Nexus 6 buttons caused frequent accidental presses, so I don’t know which I prefer. The click of the physical home button is too loud, and sometimes it gets pressed when the phone is in my pocket and I lean on something. The bezel between the home button and the display is too small, causing me to accidentally touch something on the screen when I press the button. And I find the area of the home button too small to practically house the fingerprint scanner. While I can register many angles of my thumb, too many times do I manage to find a placement that it doesn’t like. But at least it has a fingerprint scanner, unlike the Nexus 6. Moving from on-screen buttons to capacitive was a benefit to me, as I’m pro-capacitive. I won’t dwell on that, as we can debate it elsewhere. But as I’ve expressed, I just don’t like the physical home button. 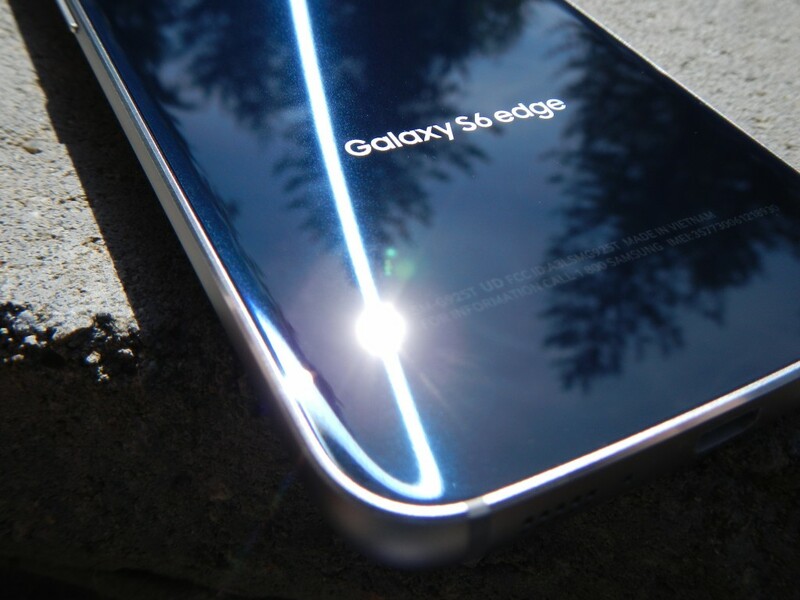 Not to forget that I’m covering the Edge variant of the S6, what I imagine the first and foremost question being is: How is usability affected by those untraditional edges? Unfortunately, what you gain in aesthetics, you lose in ergonomics. Fashion over function, as it were. The glass on the edges falls down to the frame, reducing your grip to roughly half the thickness of the phone. So you may then ask: How do you keep from making inputs on the screen when gripping the phone? Samsung apparently brought up the same concerns and they have a couple design cues to address it. First, the display does not extend the whole way down to the frame as the glass does, there actually is some bezel at the curve, between the display and frame. Second, the frame has some width to push your fingers away from the screen, as you grip the phone. This creates a ledge that is not apparent with a picture/video overview of the device. 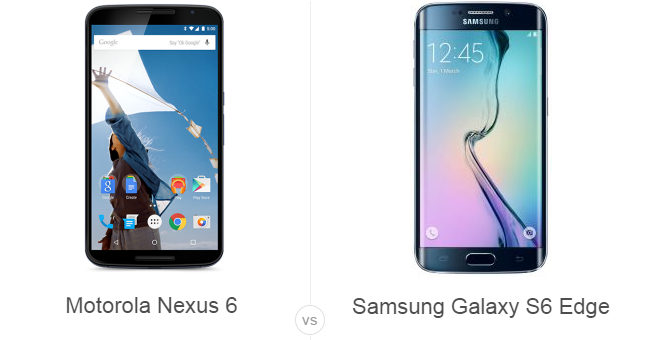 Regarding the move from a Nexus 6, going from 6″ down to 5.1″ is quite drastic. Predictably, my first reaction was “Wow, I can use it with one hand!”. But the smaller content soon began to take a tole on my satisfaction with the S6. Everyday I feel it getting worse. As of late, Samsung’s Super-AMOLED panels have been a sight to behold. Seriously. 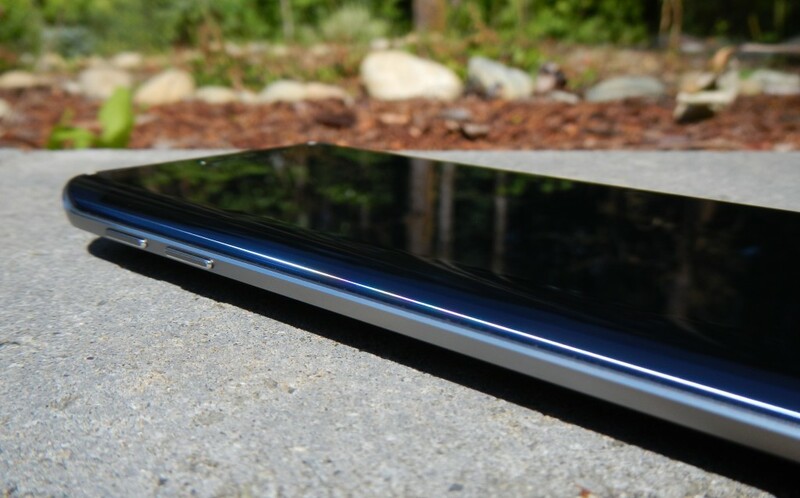 It’s natural to think that the display you’re using on another phone is all you would need, but once you witness Samsung’s panel, it strikes you. The brightness, vibrancy, viewing angles…everything is so good about this display. With the S6, past criticism about over-saturated colors has faded. The colors are now tamed. Yes, they do retain some of that color pop that makes you know you’re using an AMOLED panel, but it’s not exaggerated anymore. One factor I just couldn’t wait to discuss is outdoor visibility. Oh my goodness, I could praise this aspect of the S6’s display all day long. For the first time I’ve ever experience, the screen can get bright enough to counter sunlight. And I’m not just talking about good enough. I can completely see everything, clearly. This is truly a feat if you recall when OLED panels could not keep up with LCDs outdoors. Kudos to Samsung. If you’re out and about a lot, this screen is a must. The Nexus 6 also uses an AMOLED panel, sans the ‘Super’ part. It pales in comparison outdoors with brightness set to max, I often struggled to see what was on my screen. And its lowest brightness setting, a pink tint would dominate the screen. 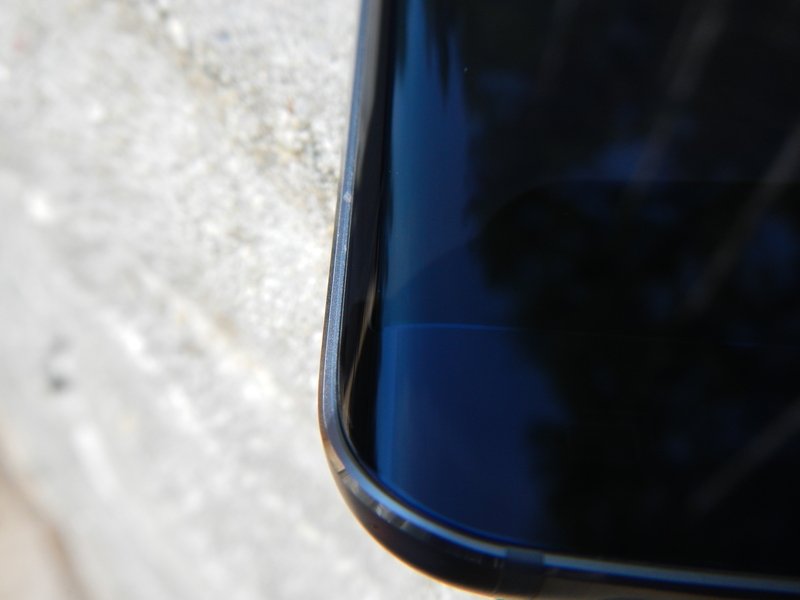 On the S6 Edge variant, observing content wrap around the curves is spectacular. But although I love the feature, I must admit that the excitement wears off after sometime. As we typically look at the screen straight-on, it’s easy to tune-out the effect. You then remember the curves are there when you look at the device from an angle. 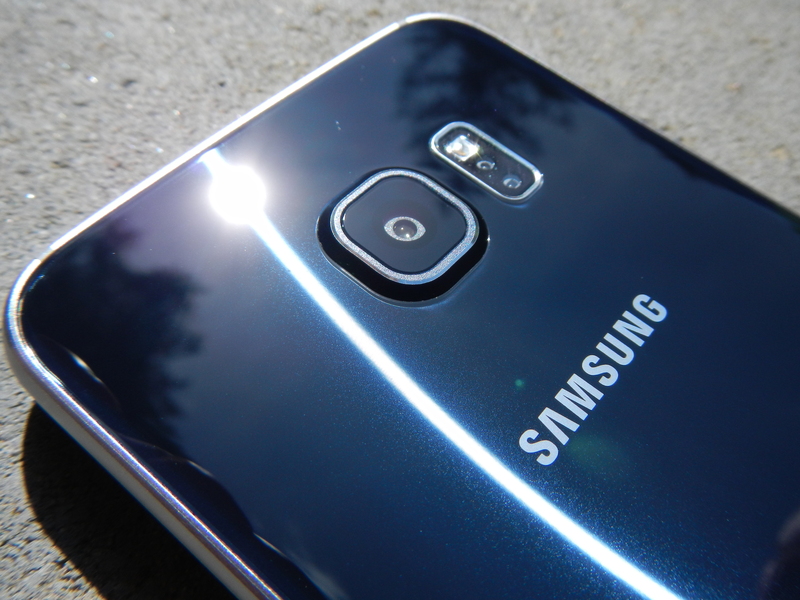 Another well-deserved acknowledgement is the S6’s camera. Especially in light of the Nexus 6’s camera, which was not accepted as part of the greats. The upgrade from 13MP to 16MP on the rear camera doesn’t matter too much. But it is important to know that the S6 is 16MP at 16:9, while the Nexus 6 is 13MP at 4:3. The Nexus 6’s largest resolution at 16:9 is 9.7MP. Samsung’s camera capability is leaps and bounds better than Motorola’s effort. I won’t get into how many more manual controls and features you get with Samsung, but rather, the efficiency of pointing and shooting. The S6 camera doesn’t require perfect lighting conditions for a good shot, HDR works automatically, low light performance is superb, and focus and capture speed can run circles around the Nexus 6’s camera. Also, while the 5MP front camera of the S6 is nothing to write home about, selfies are much less noisy and grainy than with the Nexus 6. It should be no surprise for me to say that the 3,220mAh battery in the Nexus 6 bests the 2,600mAh battery in the S6 Edge by a long-shot. We’ve all heard of the S6’s battery being average, I can contend that it is so. With the Nexus 6, I barely ever feared not getting through the day, but with the S6 I most certainly do. I would recommend always keeping a charger close by. Fortunately, I didn’t have to give up wireless charging or fast charging. And from my experience, power saver on the S6 is more efficient, with the added option of an ultra power saving mode. This is the touchy part of the discussion (no pun intended). 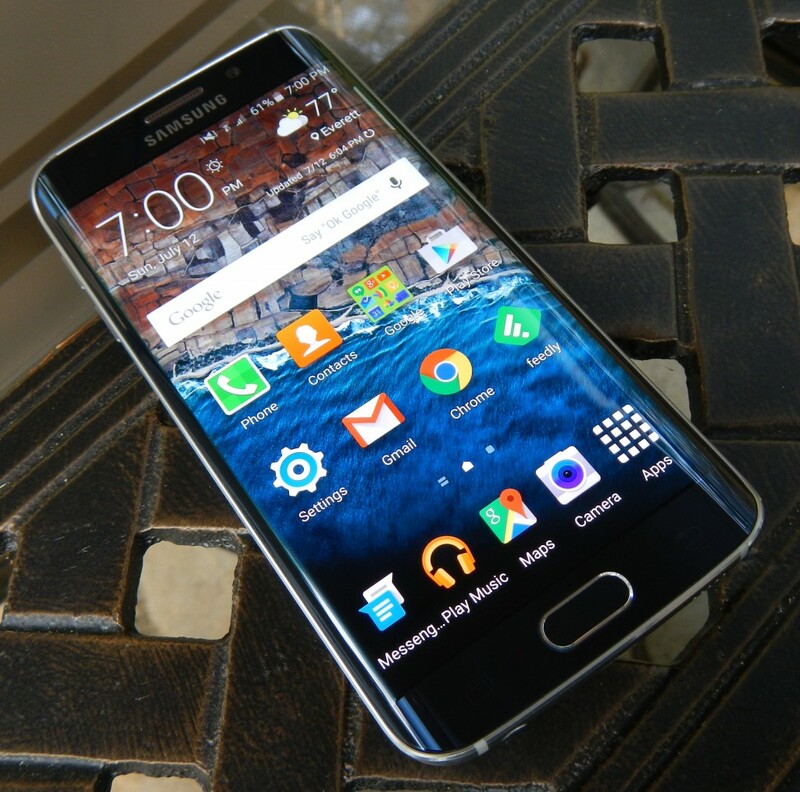 On the S6, TouchWiz is ever so present. The reduction of bloat that Samsung sold us on was primarily optimization of the UI. I can tell that it is quick and less laggy than previous TouchWiz iterations. But unfortunately, not everything is rainbows and unicorns in TouchWiz land, like Samsung would lead us to believe. My Nexus 6 also ran Android Lollipop 5.1.1, and after some quality time with Samsung’s implementation, it becomes apparent what should and what shouldn’t be. First, app memory management on the S6 is…a mess. Our beloved Android multitasking is handicapped. Apps sometimes close mere seconds after switching out of them. I found that this problem got worse the longer I went without rebooting the phone. At my worst experience with it, the software would turn off Navigation on my road trip when I went to change the music. I never had this happen on my Nexus 6, nor need to reboot for it to work as it should. Lag and slowness join into this issue the longer you go without flushing the UI. For instance, remember that quick camera shortcut that Samsung boasted about, by double clicking the home button? While a fantastic feature, if you let TouchWiz use up most of its memory bucket, you’ll be sitting there counting the seconds for the viewfinder to come around. I’ve also observed the camera app and Chrome browser freeze, leaving me with a paperweight until TouchWiz figured it out, closed, and restarted. As a result, I’m rebooting the phone daily to avoid such annoyances. The fact that TouchWiz’s stability decays over each day is a failure of the UI and an ugly misrepresentation of Android. But surely there must be some worthy benefits that TouchWiz brings to Lollipop? There aren’t many such to justify a heavy UI. The multi-screen functionality is something that stock Android should have by now. Swiping down on one of the top corners will reduce an app into a floating window, so you can do other things while keeping that information in front of you. TouchWiz now has a theme engine and store offering lots of appearance options. Samsung has also developed some neat gestures and motions that are at your disposal, such as palm swiping the screen to capture a screenshot, automatically calling a contact on the screen when you bring the device to your ear, and face detection to keep the screen on while you’re looking at it. To make the software their own, there are of course unnecessary tweaks to the lock screen, notification panel, icons, and even emoji’s. Unfortunately, this results in repercussions to how Lollipop was made. 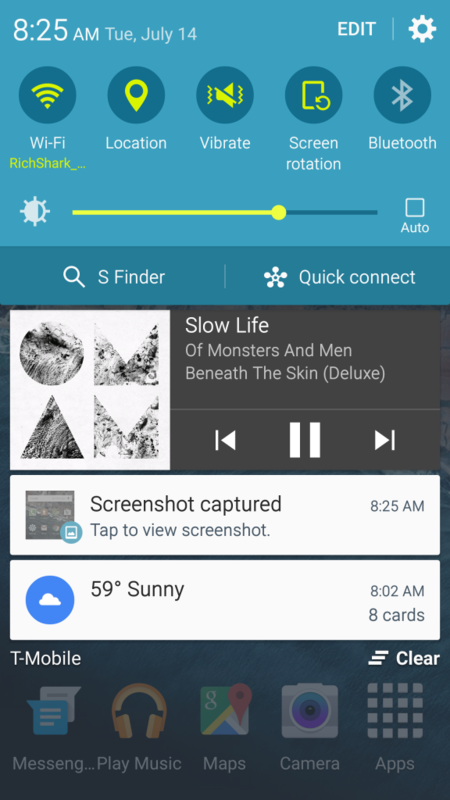 Double-clicking on lock screen notifications doesn’t do anything, the notification panel gets crowded too quickly, and sound prioritization options are not present on the volume slider. I do however prefer the news panel on the most left. I have always felt that the Google Now panel was redundant since it could be accessed just as quickly via the home button. 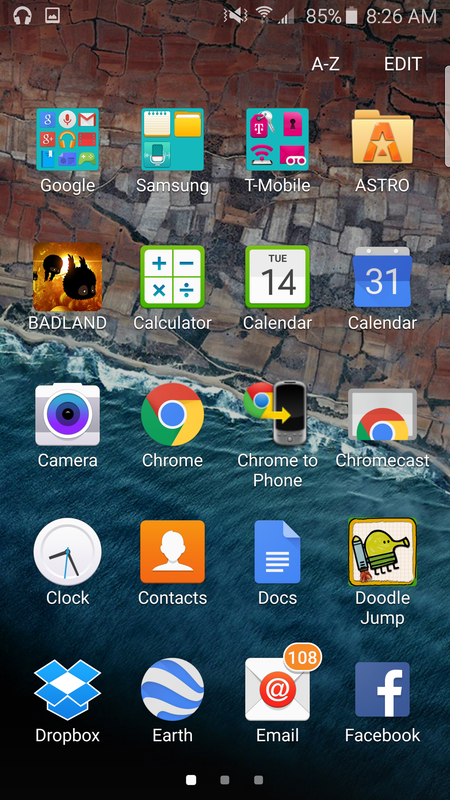 Samsung left the Recent Apps layout untouched, with the welcomed addition of a Close All button. So am I satisfied with my decision to leave my Nexus 6 for the new Galaxy? I think I’ve shown that it’s a loaded question. The chassis, screen, and camera quality are tremendous improvements from the Nexus 6. 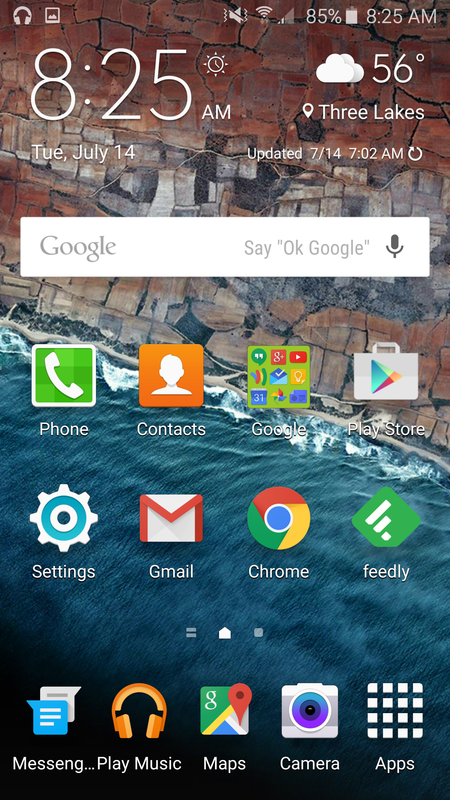 But TouchWiz is so unnecessary and does more bad to Lollipop than it does good. There is also that hit to battery life, but that’s expected from a smaller device. The battery of the upcoming S6 Plus will be more appropriate to compare. The S6 Edge variant brings something different in a dulling arena of flagships, but the glamour is short-lived. Without impactful edge functionality (see the ZTE Nubia Z9), the feature becomes forgotten about and you start to question your decision to pay $100 more for it. I’m left with the wish that Samsung would stop fiddling with being great and push through to being the best. 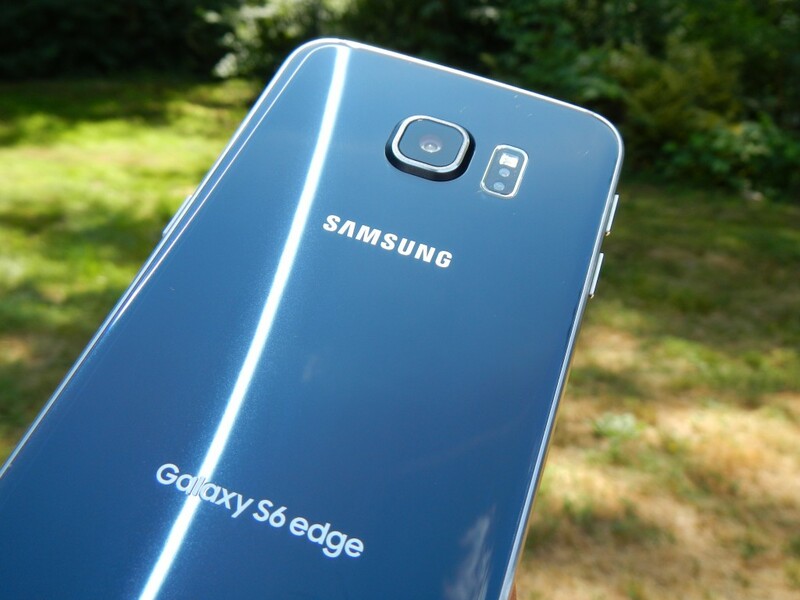 The post I traded my Nexus 6 for a Galaxy S6 Edge…here’s how it went appeared first on AndroidGuys.